'It is a truth universally acknowledged that a single man in possession of a good fortune must be in want of a wife.' With this famous declaration Jane Austen launches into the story of the five Bennet sisters. It is a story that on first reading is full of suspense, surprise and, ultimately, satisfaction, and which on re-reading commands, in addition, admiration for the author's supreme skill in managing a deceptively complex plot to its triumphant conclusion. 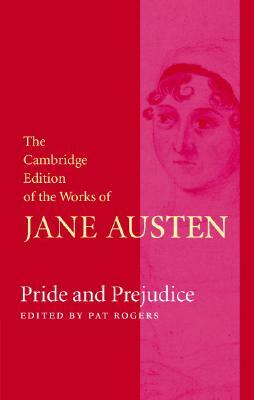 First published in 1813, and Austen's most popular novel in her own lifetime, Pride and Prejudice has since been widely recognised as one of the finest novels in the English language. This volume, first published in 2006, provides comprehensive explanatory notes, an extensive critical introduction covering the context and publication history of the work, a chronology of Austen's life and an authoritative textual apparatus. This edition is an indispensable resource for all scholars and readers of Austen.